Kristen Bell has always been open about her relationship with Dax Shepard, but when it comes to their two children, 3-year-old Delta and 4-year-old Lincoln, she's remained rather private. Recently, Kristen decided to share one of the parenting tricks she uses for Delta. However, judging by the way it was received, we can see why she typically keeps her children out of the spotlight. "My 3-year-old decided to stop sleeping about 9 months ago," explained Kristen in an interview. "And every night, when we put her to bed, she turns the lights on, which annoys the 4-year-old," continued Kristen. "She will move furniture, and she bangs on the door with different, hard toys," she added. "We switched the door knob. We turned the lock on the outside," Kristen admitted. Kristen then explained how she knows this practice is frowned upon by some parents. "I'm sorry, I know that's controversial," she said. Of course, Kristen doesn't leave the door locked for the entire evening. "We lock it when she gets in there, and we stand outside and say, 'We love you, we will talk to you in the morning, but now, it's time for sleep,'" she explained. "And after about 10 minutes, she'll wind herself down." "And then, before we go to bed, obviously, we unlock it," said Kristen. Of course, after a few people caught wind of this information, the mommy shaming began. A number of people complained that the practice of locking her children's bedroom door was unsafe. One person suggested that locking your child inside their room would cause them to lose a sense of trust for their parents. Others insisted that a child needs to feel secure in order to fall asleep, as opposed to feeling trapped inside of a room. This person argued that the time it takes to calm a restless child is worth undergoing if it's between that and a locked door. Another person even said that Kristen would be going to the Bad Place if anything unfortunate were to happen while the door was locked. First of all, this is a really dark thought. Secondly, we all know Kristen Bell is already in the Bad Place. She's been there for two seasons now. But what would an expert have to say on the matter? According to Jodi, catering to your child's bedtime tantrums can actually be detrimental to their sleeping patterns. In fact, if you don't allow your child to work out his/her own sleeping issues, you might create more sleeping problems. At the end of the day, Kristen and Dax know what works best for their family. Even if that means that they have to lock the door for a short period time. Anyway, it's not like everyone disagreed with Kristen's bedtime trick. Some people argued that the best way to respond to a tantrum as a parent is to stand your ground. Defenders of the actress also pointed out that Kristen and Dax unlock the door before they go to bed, thereby alleviating those safety concerns. But unfortunately, this is the kind of response most celebrities receive after sharing anything about their parenting style. And if Kristen ever wants to dish with fellow celebs about how annoying it is, she can hit up Chrissy Teigen, Kim Kardashian, or Kylie Jenner. 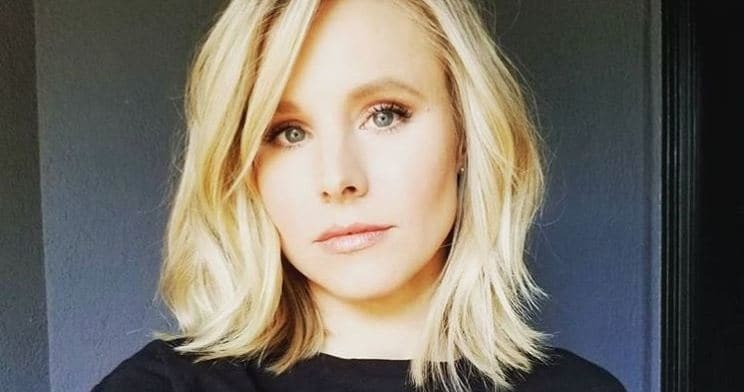 Tell us what you think of Kristen Bell's parenting trick in the COMMENTS!